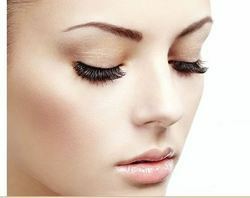 - Life Packages Available for Hair Removal (Face, Arms and Legs). - Pigmentation, Birth Marks naevus of Otta, Melasma, Tattoo Marks. - Moles, Warts, Skin tags, Corns, Xenthelasma, Freckles, Chicken Pox Scars Resurfacing Ageing Sports, Wrinkles Treatment. - Skin Glow Treatment by Glycolic peel (Neostrata US FDA Approved). The hair on face and body of female patients are mostly due to hormonal imbalance.Hairs are destroyed by coagulation (not burn) caused by selective photothermolysis of melanin in the follicular epithelium and hair matrix. A permanent reduction of unwanted facial and body hair for both men and women using the most expensive, sophisticated and advanced diode technology. Slimsity is popular clinic offering effective laser treatment for unwanted hair removal from all body parts. 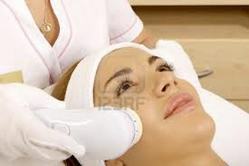 Laser is the best option for hair removal and 6-8 sessions are required for good results. The effective treatment of dandruff includes shampooing on regular basis with an enriched medicated product. This not only cleans the hair, but also cut excess oil from scalp. - Laser Hair Removal technologies to target every type of hair in different skin types, ensuring safe and effective treatments across. Soprano Ice diode laser treats the thick, pigmented hair while Alexandrite laser is very effective in removal of thin, less pigmented hair. With this technology, light is directed at the hair and is absorbed by dark pigment, resulting in the destruction of the hair follicle. This hair removal method sometimes becomes permanent after several sessions. The number of sessions needed depends upon the amount and type of hair being removed.